This month’s Happy Together duo are Eryn & Jeffrey. 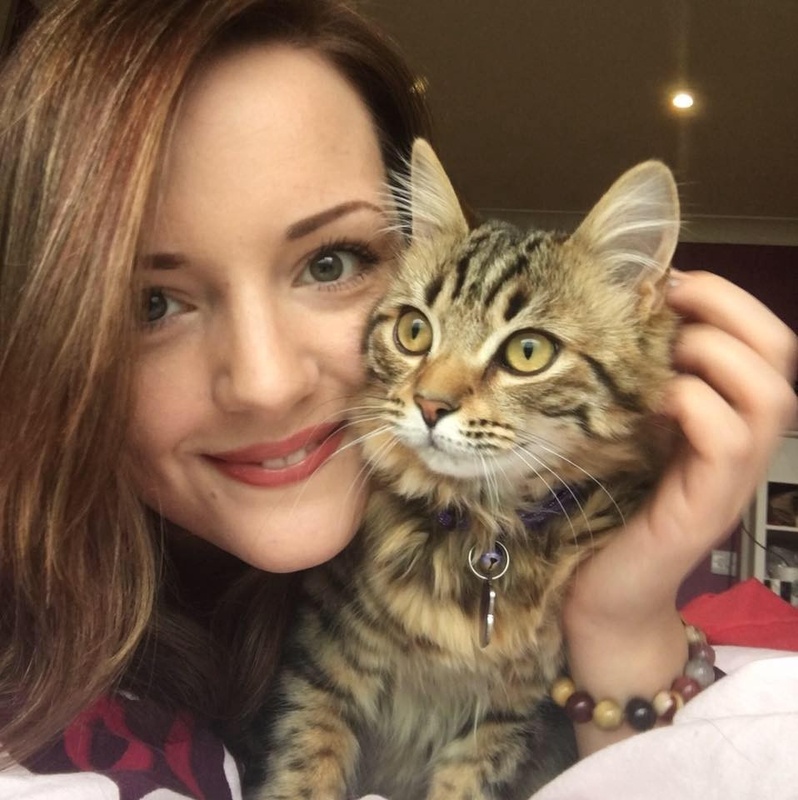 Eryn is the Lifestyle Manager at Pine Martin Grange Care Community who lives in Dorchester with Jeffrey, her 1 year old Bengal and Ragdoll mix. We sat down with Eryn to discuss how Jeffrey joined her family, his mischievous habits and what makes their relationship so special. How did you find Jeffrey? Tell me the story of how he came to you? Jeffrey was ‘rescued’ from a bad breeder when he was about 5 weeks old. 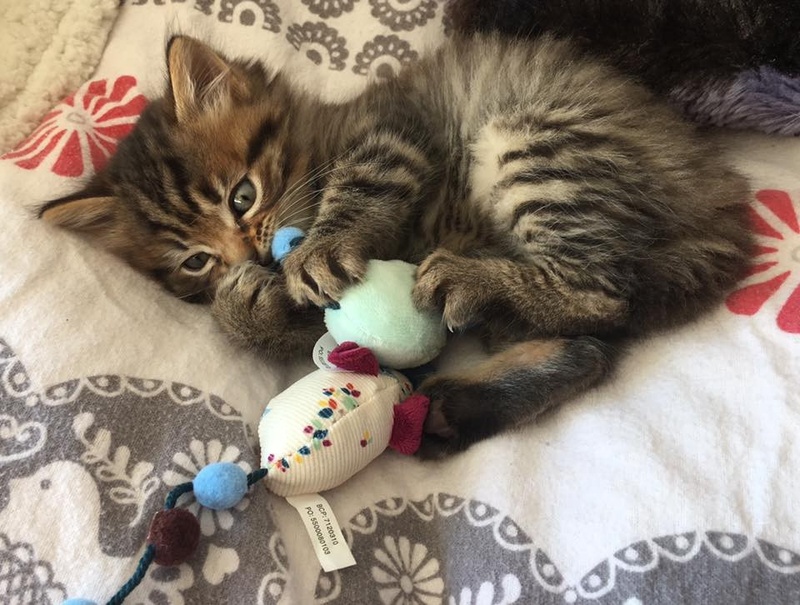 I lost my first cat in a car accident and had finally decided the time was right to add a new member to the family. When I began searching, I found Jeffrey’s baby pictures and instantly fell in love with him. When I collected him, the rescue home told me he was 8 weeks old, but the Vet later confirmed he was actually only 5 weeks. He was very unwell when we brought him home and I worried that I might lose him. I gave him lots of kitten milk and weaned him slowly. He was so tiny that I got him to sleep on the pillow next to me — I was afraid that I might roll over and squash him if he was anywhere else on the bed. He was very happy about having his own personal pillow/bed! What is Jeffery’s behaviour like at home? He can be naughty around the house; he likes to climb on the worktops and has crazy moments where he runs in circles around the house meowing. 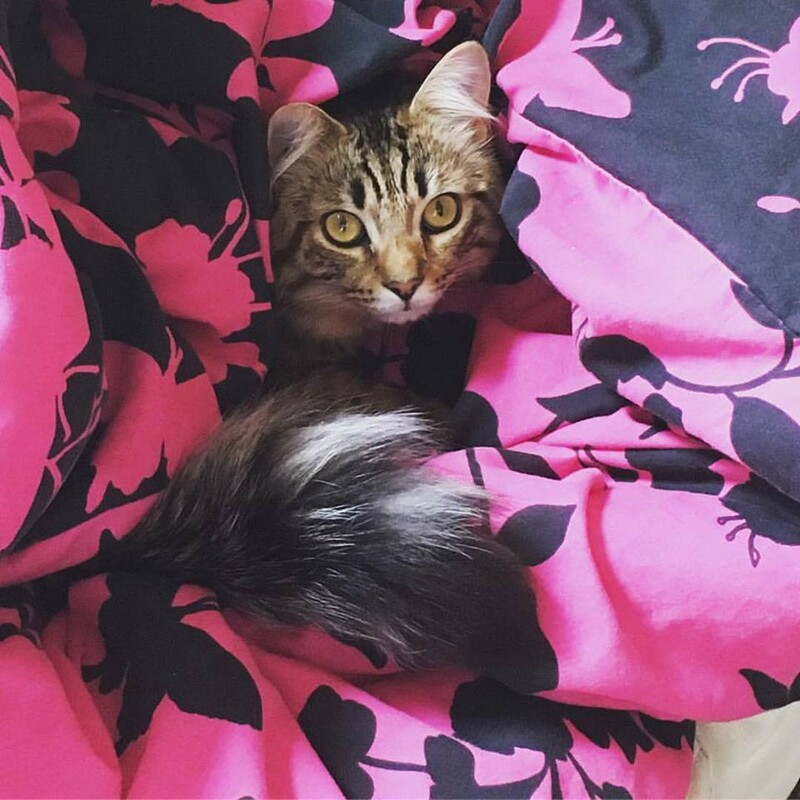 He also loves to sit behind the curtain and play with it. In general he’s just a big soft baby who loves cuddles and playing. Have you had any behavioural issues with Jeffrey? What was your solution? Jeffrey developed cystitis when we moved home, which led to some issues relating to toileting. He began urinating right in front of us so we could see him; in the bath, on the floor — he’s even done it on the bed whilst we’re in it. The vet said this was his way of showing us he was hurting and unwell. We have recently started using a FELIWAY CLASSIC diffuser to help. It has calmed him enough that he hasn’t had a flare-up for a few weeks and his urinating outside the litter box has drastically reduced! What’s the best thing about your Jeffrey? My beautiful Jeffrey is more like a dog than a cat; he comes when you call him, demands constant attention and follows you around the house. 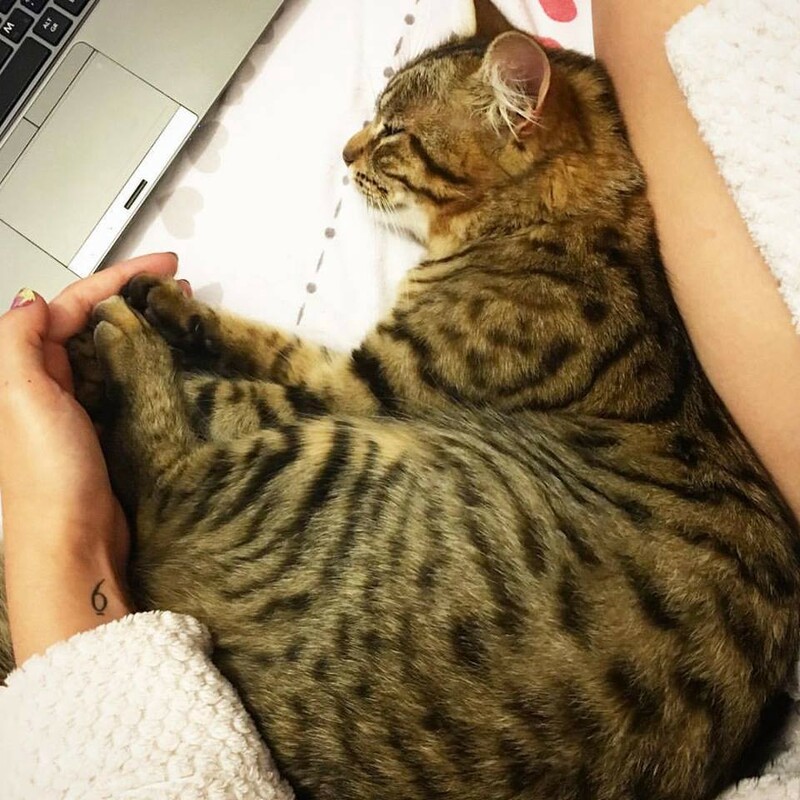 He also loves to cuddle. Everything about him is the best thing! How does he make you smile? He climbs into bed at night and in the morning and curls up as close as he possibly can to me — right under my chin, with his face on mine or with his paws on my face. Not ideal as they tend to go in my mouth! What is Jeffrey’s favourite thing to do? Jeffrey is a bit of a lemon; he spends a large chunk of his day sitting behind the curtains staring into space. I’m not actually sure what he’s doing, but he seems to love doing it. It’s also what makes his fur-daddy laugh the most. What is Jeffrey’s personality like? He is quite a character; very playful, cheeky (very cheeky at times) and incredibly loving. Does Jeffrey have any mischievous habits? He has a habit of jumping up onto the window-sills and knocking everything down — he got a bit of a shock when his paw found the cactus! He also regularly gets up onto the kitchen counter to scout out food. What makes your relationship with Jeffrey so special? Jeffrey came to me when I was going through a particularly tough time. His furry face managed to make me smile every time I saw it — he helped lift my spirits. I think he feels completely at home and safe when he is with me, which is lovely considering the difficult start he had. He is such a sweetie and I love him lots. I can’t imagine life without him!